Two (2) Models of Arthur Mears' 5"g 0-6-0 Side Tank "Anne" . 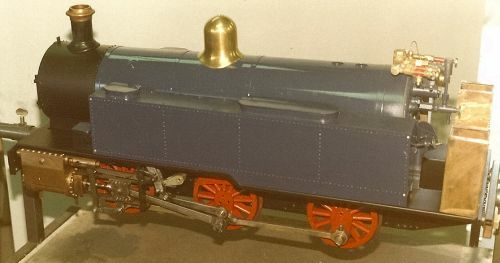 Both painted dark blue, with red buffer beams and red wheels, and with brass steam domes. Both models have AMBSC boiler numbers stamped onto the boiler backhead AND on a brass plate on the side tank of each model. One is marked NK8478 and the other is marked NK8479. Stolen Oct 1999 from Lane Cove, Sydney.